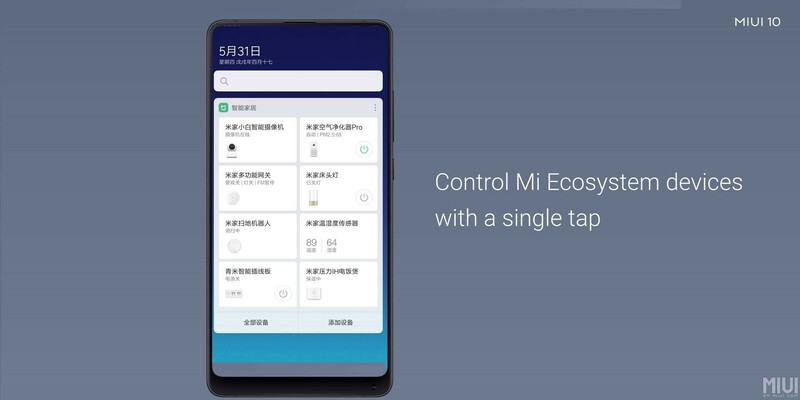 Aside from the Mi 8, Mi 8 SE, and the Mi 8 Explorer EditionXiaomi today announced the newest variation of its MIUI software, which will arrive on almost all devices the company has unveiled in the past four years. 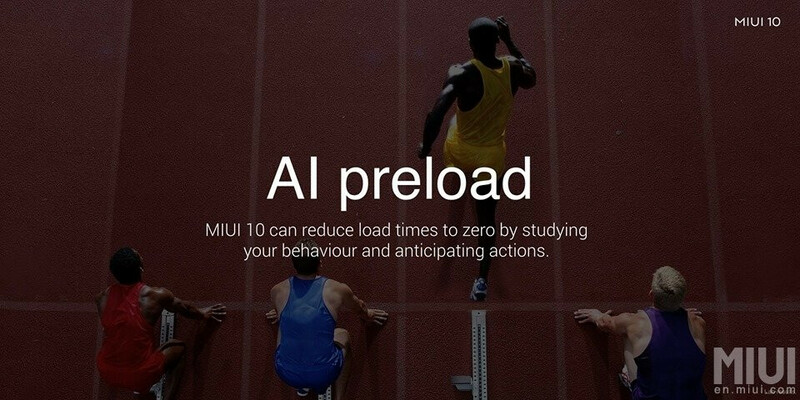 Although specific feature details at this point are rather scarce, Xiaomi revealed a couple of features that are slated to make an appearance in MIUI 10. Most importantly, it comes forth powered by AI and aiming to eliminate load times by studying the user's behavior and anticipating what apps would be opened at specific times of the day. Thus, the OS will conveniently preload them so as to function faster. Xiaomi also demonstrated its own smart assistant, but we doubt it will grace any international firmwares and will remain a China-exclusive. Another slew of novelties that are visible in the promo video posted at the beginning of this piece are the redesigned quick settings and notification bar, which will score a modern, translucent with tons of blurred elements. There's even a new brightness slider which looks quite rad. Also, gestures are going mainstream with MIUI 10. Previously only available on select Xiaomi phones like the full-screen Mi Mix 2 and Mi Mix 2s, these fullscreen gestures will seemingly become available for all devices. Swiping up would close the active app and return to the home screen, a swipe up and holding would open the recents, while swiping to the left or to the right near the middle part of the screen will act as a back button of sorts. 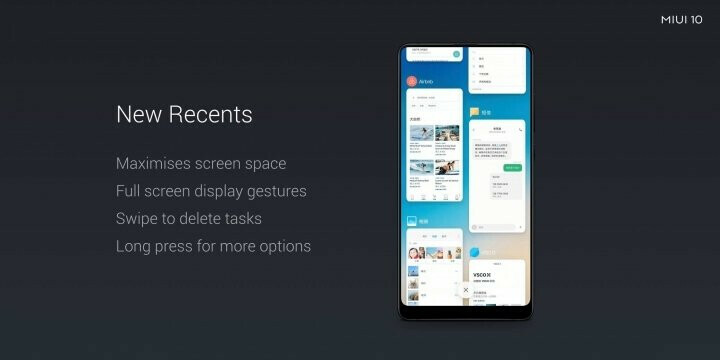 Speaking of recent apps, Xiaomi unveiled completely redone recent apps menu, which actually looks quite sleek and functional. The new recent apps make full use of the screen real estate by maximizing the view and supports fullscreen gestures. You can long-press each card for more options or swipe to delete the existing ones. Another pretty major feature that MIUI 10 is set to introduce is a dedicated portrait modes, which would reportedly be available on all eligible single- and dual-lens phones. The list of compatible phones and the update schedule will be revealed by Xiaomi in the future. The feature will work with both the main and the selfie camera of the eligible devices. Great! But when is it arriving? Xiaomi disclosed a schedule, but it only applies to open and closed beta tests, so we are months away from the actual release of MIUI 10 for the majority of devices. Mi Note 3, Mi 5X, Mi 5c, Mi 5s, Mi 5s Plus,Mi 4, Mi 4c, Mi 4S, Mi Max 2, Mi Max, Redmi 5, Redmi 5A, Redmi 5 Plus, Redmi 4, Redmi 4A, Redmi 4X, Redmi 3S/Redmi 3X, Redmi Pro, Redmi Note 5A, Redmi Note 4 Qualcomm/Redmi Note 4X, Redmi Note 4 MTK, Redmi Note 3 Qualcomm. As far as the Global Beta ROM is considered, Xiaomi urges its users to stay tuned for further updates. Ah, MIUI, eh? That thing used to be an iOS Clone but now... It has evolved to be something unique, cool and independent. Okay, there is still a tad bit of iOS flare (Or should I say; heritage?!) here and there but... Overall; it's a dramatic unique design that borrows nothing from either Samsung or Apple. Don't get me wrong; I still prefer Pure Android and about the only skin I like is Samsung's excellent Experience UI but... Now, I don't think I'll dismiss a phone just because it runs on MIUI! Besides; Xiaomi is kind enough to offer unlocked bootloaders so flashing a ROM is a breeze! And the way Xiaomi is committed to updating its phones is impressive! On par with AndroidOne Phones. Oh well, G'Day! Even though i like MIUI features, one thing i don't like, is that it forces to disable all apps on standby, and non standard GCM behaviour. This just makes it hard to use any app that relies on Google Framework. Not true. It takes some tinkering but your statement is false. please show me which part is false. My experience says otherwise and it's been repeatable on mi4c and Redmi Note 5, and i don't see any improvement in that regard. Why you must turn off MIUI Optimization for GCM apps but in the end it kills your battery by doing so? Not smart enough for me. i'd rather have stock Android. I don't know how you use your phone, but turning off miui optimization doesn't kill the battery on both my Redmi Note 3 or Mi Mix2. I say you're wrong because I use the China rom on my Mix2 and had to add gapps. After some tinkering it works perfectly. I've not heard about people having issues with pre-installed gapps on the Global roms. If you don't want miui then by all means use a stock rom. It's android so you can do as you please. I used mi4c which is clearly china build ROM only, so therefore i used the dev ROM which was less bloated. Everything worked, but without turning off MIUI opt, Whatsapp for example, just gets delayed notification until i open the app. I have turned off the battery optimization specifically for Whatsapp but still not working until i turned off MIUI opt. Unfortunately after doing that, battery life tanked.. Read somewhere that on GApps is not compatible with MIUI opt so there's that. Dunno bout you, maybe you like to open apps to check them out frequently so it was less of a problem, but i don't. I understand where you're coming from now. I used a gapps installation tutorial from the miui forum and I haven't encountered those problems. I use Google Voice via Hangouts for my phone number and it rings as it should. My WhatsApp is ok too. The only issue I have with notifications is when I switch from wifi to data without switching wifi off, I don't receive notifications on time. Almost as if the phone hasn't recognized that mobile data is enabled. Either way I'm quite satisfied. Xiaomi's software support is something other OEM's should emulate.